Just in time for the holidays, celebs are in the spirit of giving. NBA star Carmelo Anthony and Real Housewife of Atlanta Kandi Burruss, hosted private screenings of Illumination’s new animated film SING on behalf of their foundations. On Monday, December 19th, the Carmelo Anthony Foundation hosted a screening at the Regal E Walk Theater in New York. Comedian and SING cast member Jay Pharoah, who also plays Meena’s (Tori Kelly) grandfather, made an appearance at the screening where both he and Carmelo Anthony introduced the film to the children of the Foundation. 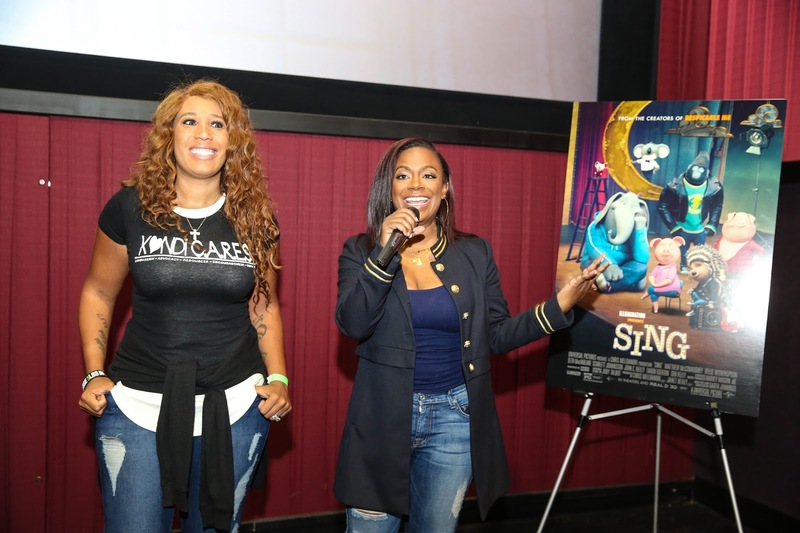 On Saturday, December 17th, Kandi Burruss hosted a private screening for her Kandi Cares Foundation at the Regal Atlantic Station in Atlanta. The girls and I got to attend the Saturday private screening here in Atlanta, being one of the first to see the SING film. I thought the movie was just okay, to me I thought it was a bit slow and didn't hold much of my attention until the ending. This could be because the screening was first thing in the morning and I was running almost on E. I'm telling ya, this holiday season got me whooped! Although I give this film a 7 out of 10-star rating, it did have a positive message that everyone needs in their life. 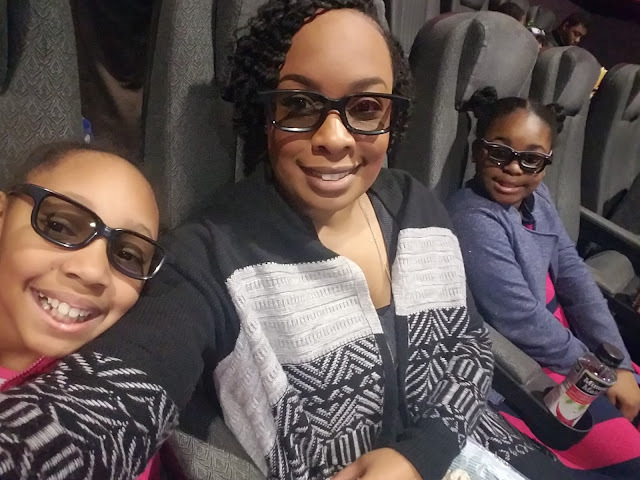 I asked my girls how they liked the movie and they both loved it, I guess that's what matters right? 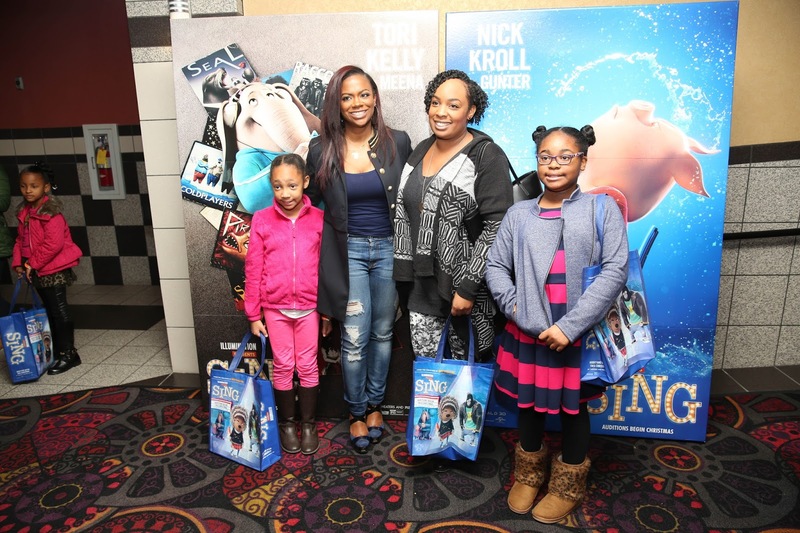 But what was super cool was getting a chance to meet Kandi Burruss (Tucker)! She happens to be one of my favorites from the Atlanta Housewives show. 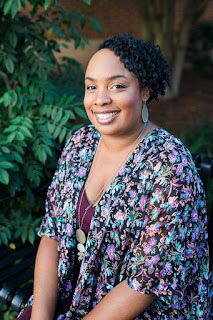 She was all smiles, grateful for everyone attending the event and made sure to snap photos with all her guest. 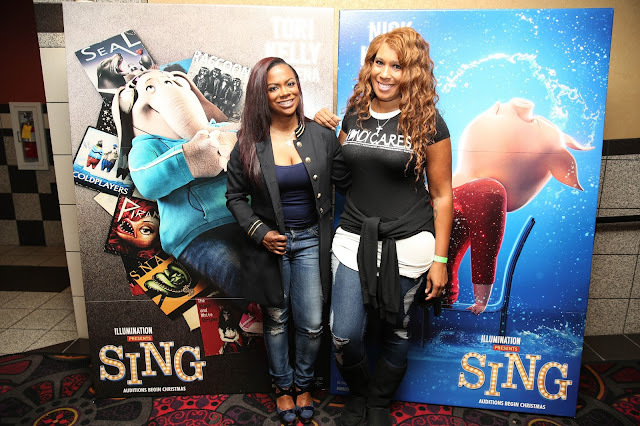 She even stayed in the movie theater and watched the SING film with everyone, usually when I attend these screening events hosted by celebrities they don't stick around until the end. Do you have family coming to town for Christmas and looking for something everyone can do? 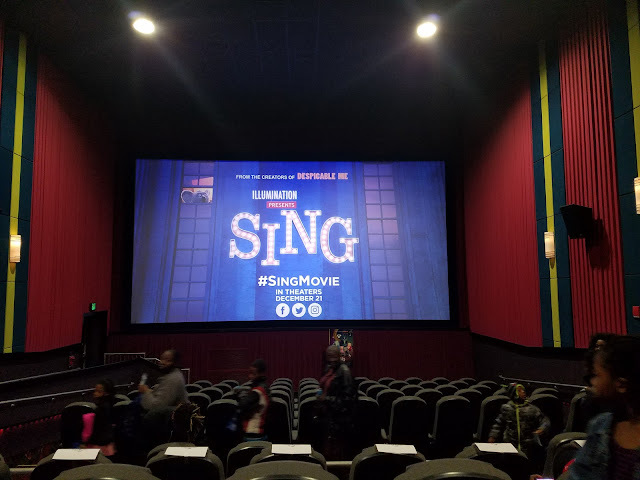 Take them to see SING this weekend. Even though I thought it was alright, you may have a different opinion than me. SING opens nationwide December 21st! 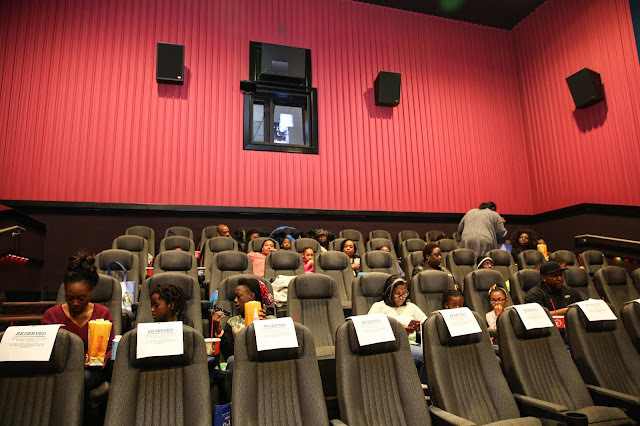 I remember the days spending the weekends at the movies with the boys, fun times, now when we go it to see movies like "Birth of a Nation". It is so cool and fun for the girls. They will have so many great memories. 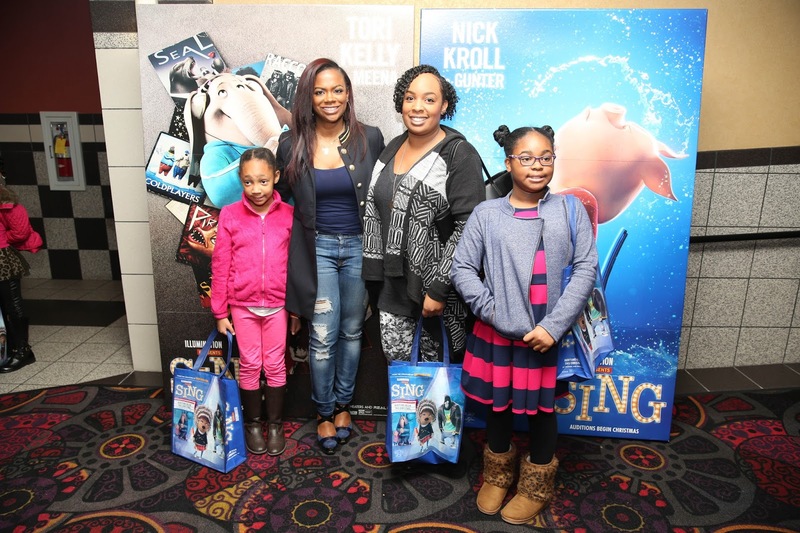 I can only imagine their caption: Our Wonderful Mom Took us to see the SING Film. SING! Wow, what a great experience. We haven't seen this film yet, but will probably check it out next year.